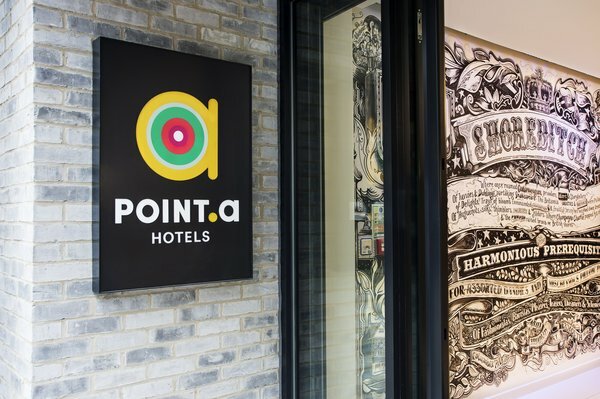 To succeed in the fast-paced hospitality industry, a hotel needs to be as efficient as possible when it comes to its operational capabilities. Guests have higher standards than ever and expect a faultless experience whenever they stay at a hotel, so improving operational efficiency is a must. However, as a hotelier it can be very tricky to find ways to become more efficient while simultaneously managing the coming and going of guests, ensuring all daily admin tasks are complete and maintaining absolute guest satisfaction. 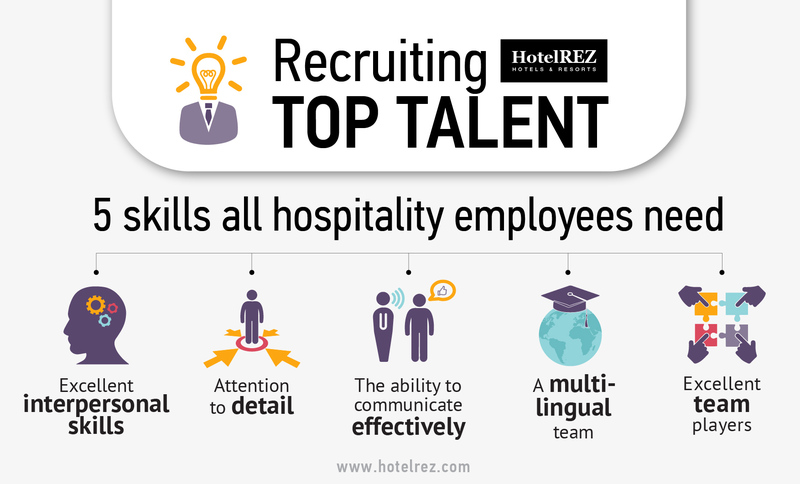 At HotelREZ we represent over 1,500 independent hotels, hotel groups and apartment providers in over 100 countries, and thus have gained our fair share of insights into how best to enhance operational efficiency while making sure everything else is running smoothly. Combining suppliers across your business is good practice to reduce back and forth, convoluted conversations and the possibility of comms being lost in translation. A primary area for your hotel where this can be most effective is with your CRS, GDS, booking engine provision and representation partners. By combining these you ensure you can continue to drive incremental business direct to your hotel, in turn delivering efficiency in your time, resources and investment. The key consideration is how much business your hotel and location drives, and what incremental income will be driven by your technology or representation provider. The latter should not only provide the technology, but also bring a lot more to the party in terms of revenue, impact on REVpar, ADR ALOS and real business value. 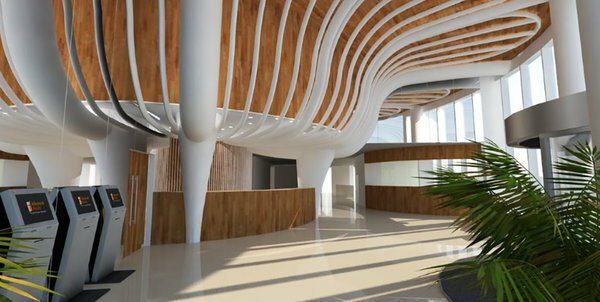 HotelREZ’s Central Reservation System, CentralREZ is designed for independent hotels and hotel groups. With one system login, simple rate controls, clear and powerful reporting through our hotel management tools and an online Hotel RFP product your efficiency will go through the roof! It is often said that your employees are the most valuable asset to your business, and this couldn’t be truer for hotels. If a member of staff is unhappy or not trained well they are more likely to make mistakes. This could, in turn, slow down operations or lead to an unsatisfactory guest experience – both of which you want to avoid at all costs! Always ensure your staff are properly trained, and that each department not only understands their goals but also has the resources and capabilities needed to achieve them. This is, of course, easier said than done so having an excellent hotel operational plan will greatly help. A hotel operational plan sets the operations standards for each department and outlines staff requirements, duties and responsibilities along with their working schedules. 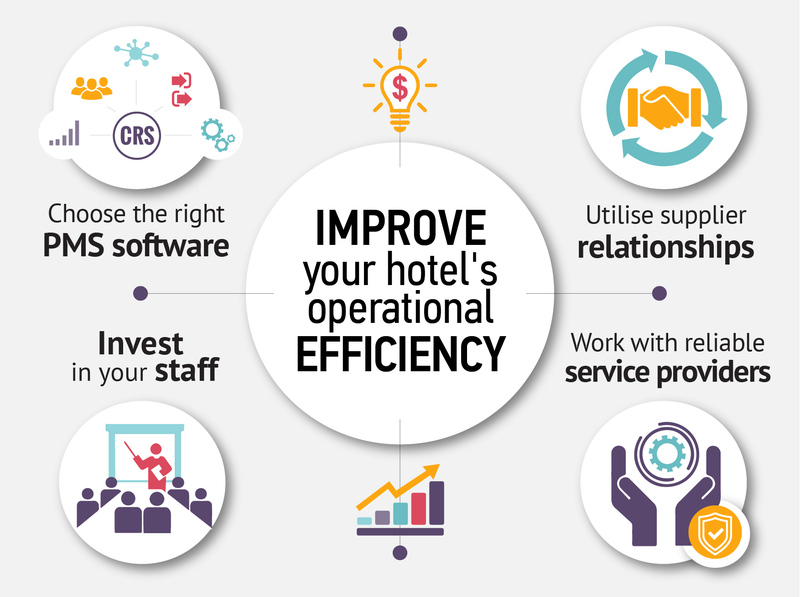 This can prove to be crucial when improving your hotel’s operational efficiency. 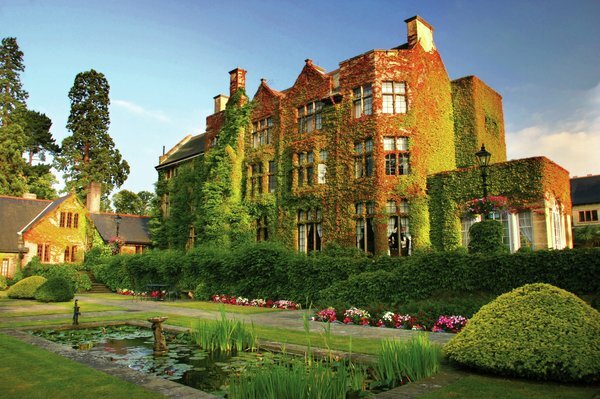 A PMS enables you to automate and accelerate important processes – this can be anything from taking bookings and communicating with guests, to managing specific reservation requests such as late check-in and check-out or room transfers. It is imperative that you select a PMS with the functionality you need to satisfy each department’s requirements. With the volume of PMS providers currently in the market it can be difficult to select the right software that will cater to your hotel’s needs. That’s why at HotelREZ we have some great strategic partnerships with PMS providers such as Guestline and Mews, and can work with you to help you find the right one to fit your individual business needs. We also offer our clients a fully interfaced system to ensure workload is reduced so their teams can spend less time on administrative tasks, and more time generating sales. When it comes to choosing service providers for your hotel, you want to ensure that they are able to work independently without taking too much time out of your busy schedule. This is true for all types of service providers, whether you are looking for reliable companies that offer catering, maintenance, marketing or consulting. Always choose to work with companies that are good at their job and care about your hotel. At HotelREZ, we offer a unique service which includes distribution through GDS connectivity, web services to increase direct bookings, sales, marketing, demand generation and consultancy services to accommodation providers worldwide. 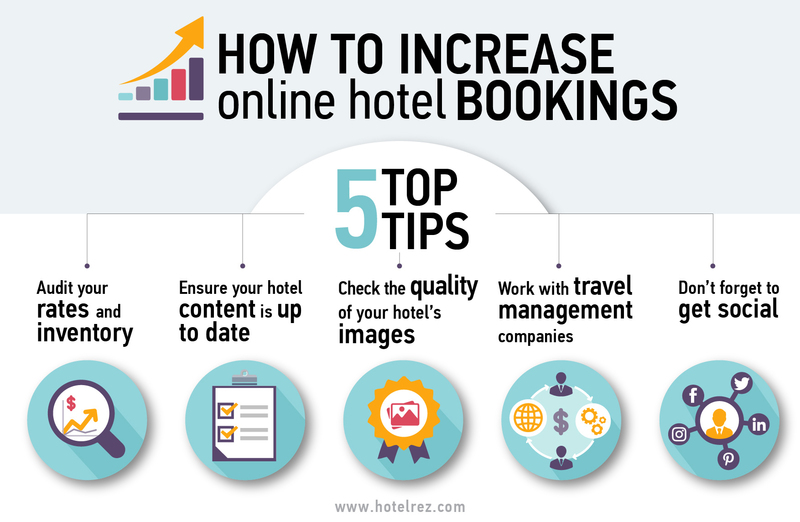 Crucially, by utilising HotelREZ’s booking engine REZbooker, the amount of incremental direct business you do will increase with additional traffic to your site, and via meta search. We truly want your business to prosper and as such, we ensure that all of our clients receive an excellent service and an attractive rate of return. This is underpinned by our Customer Charter. Another great way to improve your operational efficiency is to make sure you fully utilise all of your supplier relationships, as they often bring many benefits. It takes a lot of time and effort to build these relationships, which is why HotelREZ provides access to over 60 worldwide preferred partners including travel management companies (TMCs), consortia and agencies. We gladly help our clients make the most of HotelREZ’s preferred partnerships for the long term success of their businesses. Making your life easier by improving your hotel’s operational efficiency lies at the heart of what we do at HotelREZ, and we always deliver results that surpass the expectations of each and every hotel member. If you want to find out more about how we help hotels stay independent, compete worldwide and become more operationally efficient, have a look at our services or get in touch today.